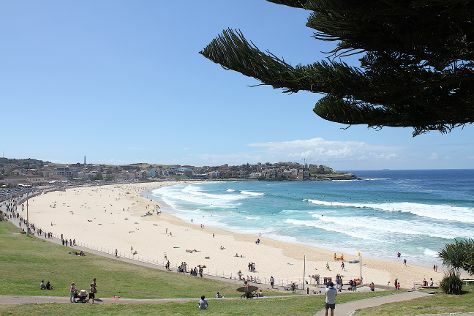 Step out of the city life by going to Bondi Beach and Bondi to Coogee Beach Coastal Walk. Visit Manly Beach and Shelly Beach for some beach relaxation. There's lots more to do: see a show at Sydney Opera House, kick back and relax at Clovelly, tour the pleasant surroundings at Coogee Beach, and wander the streets of Darling Harbour. For ratings, traveler tips, other places to visit, and other tourist information, read our Sydney trip itinerary planning tool . New Delhi, India to Sydney is an approximately 15.5-hour flight. Traveling from New Delhi to Sydney, you'll lose 4 hours due to the time zone difference. When traveling from New Delhi in January, plan for somewhat warmer days in Sydney, with highs around 32°C, while nights are warmer with lows around 23°C. 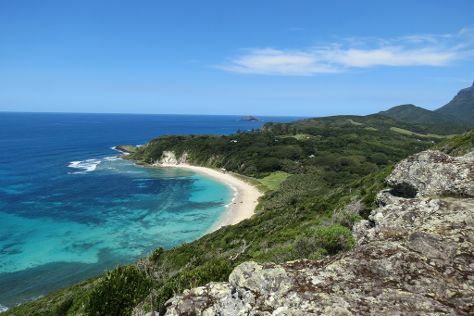 Finish your sightseeing early on the 4th (Fri) so you can travel to Lord Howe Island. Kick off your visit on the 5th (Sat): stroll through Lagoon Beach and then enjoy the sand and surf at Ned's Beach. To find ratings, more things to do, other places to visit, and tourist information, use the Lord Howe Island trip app . Fly from Sydney to Lord Howe Island in 3.5 hours. Finish your sightseeing early on the 5th (Sat) to allow enough time to travel to Port Douglas. On the 6th (Sun), discover the deep blue sea with a scuba or snorkeling tour. To see traveler tips, ratings, where to stay, and tourist information, read Port Douglas journey planner . Traveling by combination of flight and shuttle from Lord Howe Island to Port Douglas takes 7.5 hours. In January, daily temperatures in Port Douglas can reach 37°C, while at night they dip to 28°C. Finish your sightseeing early on the 6th (Sun) to allow enough time to drive to Cairns. Visiting Scuba & Snorkeling and Trinity Beach will get you outdoors. Explore the numerous day-trip ideas around Cairns: Palm Cove (Hartley's Crocodile Adventures & Palm Cove Beach). For photos, reviews, ratings, and tourist information, read our Cairns trip itinerary maker site . Traveling by car from Port Douglas to Cairns takes 1.5 hours. Alternatively, you can take a shuttle; or do a combination of shuttle and bus. In January, daily temperatures in Cairns can reach 37°C, while at night they dip to 28°C. Wrap up your sightseeing by early afternoon on the 9th (Wed) to allow time for travel back home.